Yesterday, while attempting doing a 7 foot 540, Steven Piñeiro, from Jacksonville, Fla broke his wrist in the Bondi Pool and had to be rushed to the hospital. Now Steven's doing fine. Steven Pineiro, just minutes after breaking his wrist. Steven Piñeiro is thirteen year old and has only been skating for 3 years after seeing people skating at a beach in Florida. He will be in 8th grade in the fall. 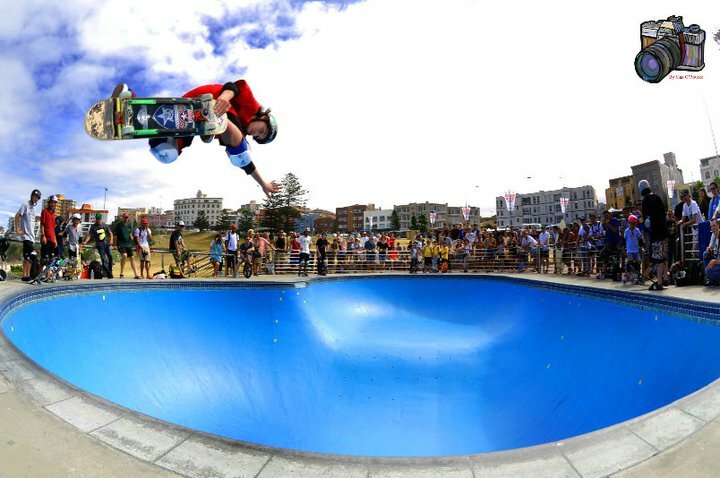 He's got 540 variations, and has skated bowl contests in Oregon. He rides for Embassy skateboards. isTia wishes Steven all the luck and a speedy recovery. See you at Vans Protec Pool Party next month and Keep-on rippin' kid!!! 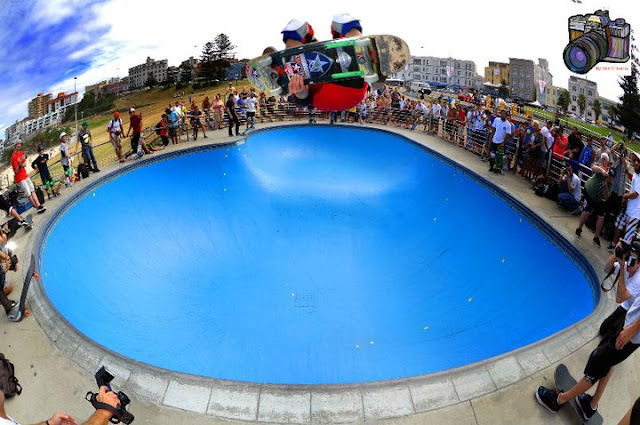 More pictures of Steven Piñeiro at Bowl-A-Rama, Bondi after the page break. WTF! How the hell do you call this trick? Photo dean Tirkot. Steven rippin' in the Bondi Bowl. Photo Dean Tirkot. i love you brother your a tuff dude.